Photo courtesy Radisson Blu Le Dokhan's Hotel. Honeymoons, anniversaries, engagements, make-ups — there are plenty of reasons to be amorous. Find love in all the right places with this list of romantic destinations in France. What's to Love: A sumptuous 20-room chateâu in the heart of Champagne. Feels like a mini-Versailles with romantic four-poster beds, vintage wallpaper patterns, oil paintings, and enormous marble bathrooms. Surrounded by seventeen acres of private park, so you might not want to leave the property. Good to Know: The Michelin-starred restaurant Le Parc serves more than 400 Champagnes, many of which can only be found locally. After dinner, tuck into the cozy La Rotonde Bar for a nightcap. What's to Love: Opulent hotel overlooking the Marne Valley with an outstanding restaurant. Ideally situated for tours and tastings in twin Champagne meccas Epernay and Reims. Veuve Clicquot, Taittinger, and Dom Pérignon: oh yes. Good to Know: Accessible from Paris by train, but you'll want to have a car to explore the local vineyards and sights. What's to Love: Perched (literally) atop a well-preserved medieval town that is itself perched on a Tolkein-esque mountain outcropping above the French Riviera. Ridiculously romantic tiny hotel with shockingly good views that extend all the way to St. Tropez and Corsica. Good to Know: Confirm that your room has a balcony. And unless you have a fear of heights, insist on the balcony table in the Michelin-starred restaurant. What's to Love: You will aways greeted very warmly and wonderfully. The furniture and decoration in a home-y local style suit the hotel's secluded atmosphere. What’s to Love: Seventeenth-century abbey surrounded by grape arbors on extremely romantic Lake Annency in the French Alps. Not far from Geneva, but less obvious and more secluded. Resist the temptation to dine at the precious and stuffy Auberge du Pere Bise and hit the charming Café de la Place in the center of the village. Good to Know: Get a room in the front of the hotel facing the lake. The rooms on the side are small and monk-like. What’s to Love: The chateau, originally a medieval fortress inhabited by many French families, is in the heart of horse country just outside Paris. 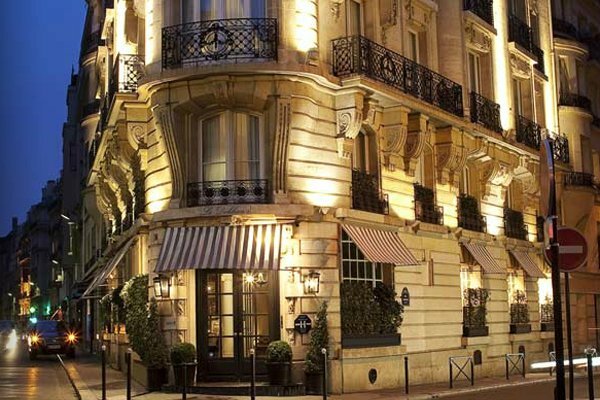 The hotel complex includes the Condé Museum, home to the second largest collection of Master paintings after the Louvre. Rooms are decorated like a French mansion fantasy and overlook the Grand Stables, an 18th-century racecourse that still sees plenty of horsey action today. Ride on. What's to Love: Feel like a local in your own Parisian pied-à-terre. Cute, well-decorated apartment rentals in prime locations throughout the city. It's nice to have the option of going to the market and preparing your own meals. Good to Know: Apartments come with a computer and wifi. Use the Haven staff to help plan your visit; they make good suggestions. What's to Love: If you have money to live like a rock star or supermodel, this is the place to do it. From hidden corners in the lobby to the bordello-inspired guest rooms, each space is suffused with a warm glow perfect for a rendezvous. Wear your sunglasses to breakfast in the courtyard, and people will wonder who you are. Good to Know: Call ahead and have your room filled with flowers from the on-site florist. What's to Love: Night views of the twinkling Eiffel Tower: It never gets old. Al fresco dining in the garden courtyard is one of the many brilliant touches. Good to Know: Bring your chic. The Avenue Montaigne location means you're surrounded by beautiful shops, beautiful people, and beautiful food. What's to Love: Tucked away on a quiet residential street in the tony 16th arrondissement far from the tourist throngs, you can live your Parisian fantasies in total privacy. Sleek rooms are made for amour, with centerpiece beds, glass-walled bathrooms, and deep tubs. Good to Know: The Veuve Clicquot Champagne bar doubles as a breakfast room; every guest is assigned a personal assistant for the duration of their stay. Photo courtesy of La Reserve. 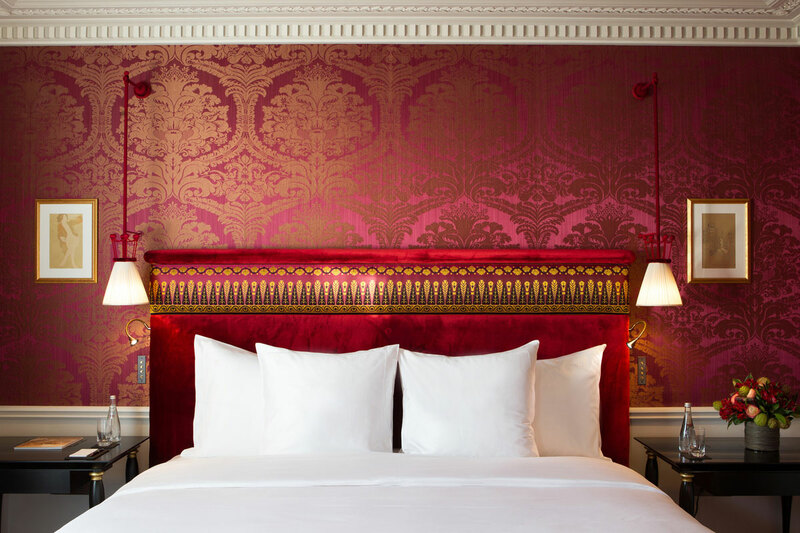 What's to Love: Cozy, historic hotel in the middle of St. Germain. Good to Know: Use the concierge to secure restaurant reservations in advance of your trip and don't forget to check out the hotel's Michelin starred dining, L'Restaurant. 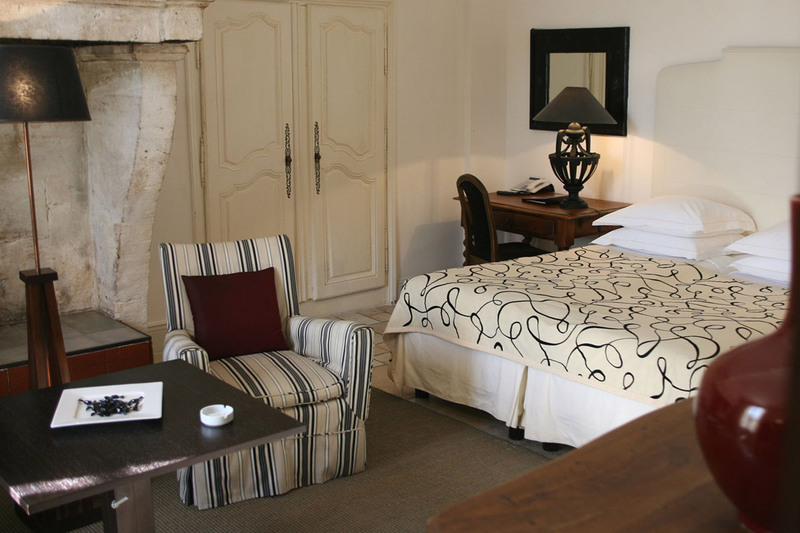 What's to Love: Low-key hotel with an amazing location on Place des Vosges. Beautiful and picturesque courtyard and vine-covered facade. The staff is fantastic. Good to Know: Request one of the newly renovated rooms. What's to Love: The Champagne bar, the extremely knowledgeable staff, and the ridiculousness of having a Louis Vuitton leather-lined elevator. Lovely rooms — they're small, but what room in Paris isn't? Good to Know: Request a room with views of the Eiffel Tower. Visit the market down the street to stock up on water, wine, and other drinks. What's to Love: Hidden hotel with a walled garden run by an ex-model and her osteopath husband. Very charming and quite chilled out at the same time. Good to Know: There are few cars and you can bike the whole island in an afternoon. What's to Love: Sun-bleached pastels of an old fishing town given a relaxed contemporary finish. Good to Know: Down the road you can hire bikes to use on the myriad of cycle-only paths around the island. Ile de Ré is where most of France's fleur de sel is produced. What's to Love: The authentic French feel that's very grandmère meets contemporary. Wonderful on-site restaurant with traditional Provençal cuisine. Good to Know: Don't build a to-do list — live without it. This is an authentic small town experience; those looking for amenities like wifi and bellhops will be disappointed. What's to Love: Surrounded by vineyards and olive groves, this place exudes authentic Provençal charm without being twee. Spend your afternoon watching the chef harvest lunch and dinner from the potager. Good to Know: The manager has a pug named Sushi. What's to Love: A magical retreat that's all about sumptuous finishes, lounging by the pool, and eating and drinking. For a couple, there is really no reason to leave — except to possibly do some antiquing in nearby St. Remy. Photo courtesy of L'Oustau de Baumaniere. Contributors: Ingrid Bernstein, Rory Brownlee, Becca Bull, Anna Watson Carl, Caryl Chinn, Mark Colodny, Sonya de Castelbajac, Nicole Dunn, Christina Ohly Evans, Steven Learner, Kamal Mouzawak.